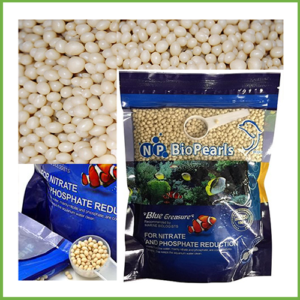 PO4X4 Phosphate Remover is a unique chemical engineered polymer based mini pellets that will specifically remove phosphate approximately 4 times more efficient then most GFOs. The PO4X4 polymer is bound to very pure FeOH2. Both the polymer as well as the Iron molecules are able to bind PO4 and by combining these we increased the binding efficiency. 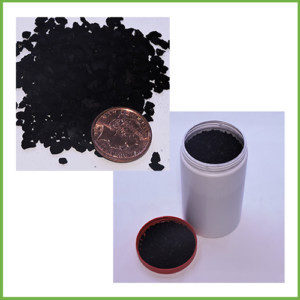 In addition, PO4X4 contains only Ironhydroxide, normal GFOs consist of a mixture of ironhydroxide as well as ironoxide and only the first form can bind phosphates. This means that PO4X4 with its higher content of Ironhydroxide can bind much more PO4 than your average GFOs can. 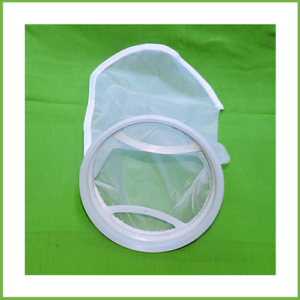 For best results it is highly recommended to use a fluidized reactor when using PO4x4. 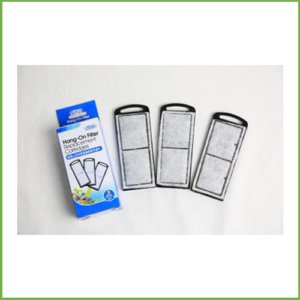 Canister filters can be used as well but will not be as efficient. An ammonia kind of smell is normal when opening a new package. This isn’t ammonia but a processing smell during etching the iron on the polymer pellets. 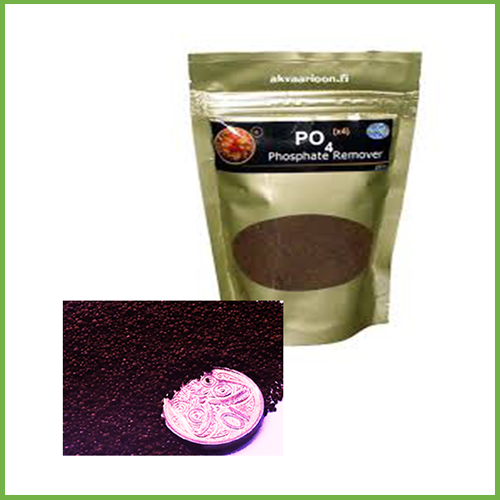 This pack of 250 ml will remove 3 ppm of phosphate and silicate from roughly 8.000 litre of fresh water or 4.000 litre of marine water. Overdosing can cause a negative effect in your tank due to rapid removal of phosphate and chemistry changes. 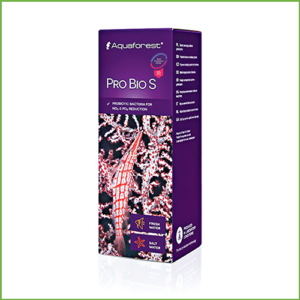 It is recommended to use a small amount and gradually increase the amount of PO4x4 used, while monitoring the phosphate levels in your aquarium. 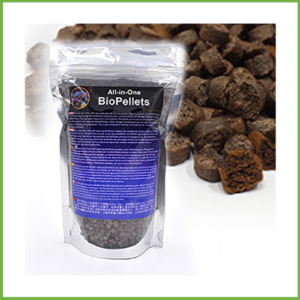 Replace your pellets when phosphate levels start to increase again.